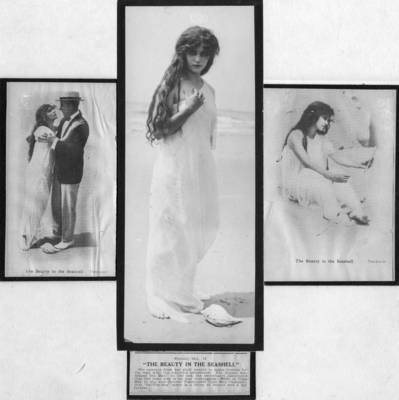 "The Beauty in the Sea, 1913"
Composite with photograph and clippings for "The Beauty in the Sea" starring Florence LaBadie, Harry Benham and Ethel Cooke. Produced by the Thanhouser Cap May, New Jersey Company with Carl Louis Gregory as director and cameraman. BW photographs; 12" x 10"